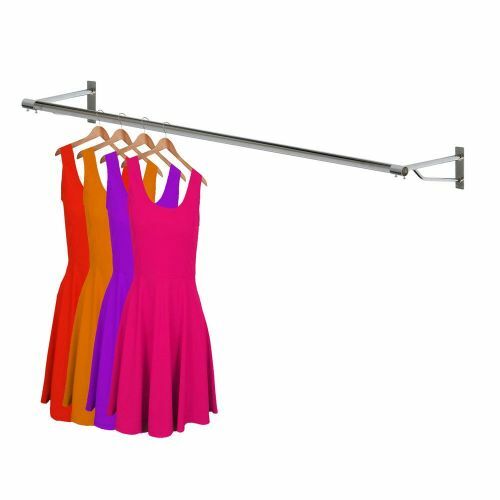 6ft Wall Mounted Clothes Hanging Rail with chrome finish. 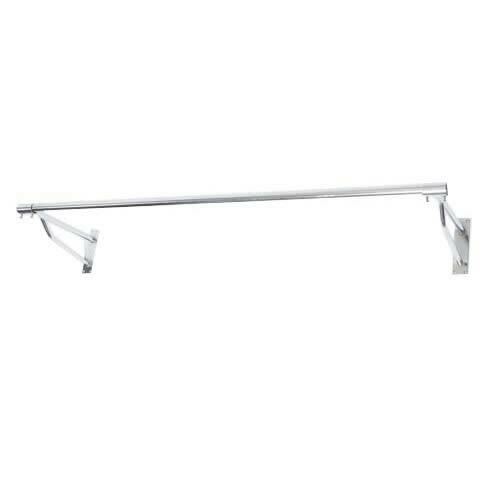 This wall mounted garment hanging rail is supplied with 2 wall brackets (fixing screws are not supplied). Depth of Wall Bracket = 32 cms ( 12 1/2" ). 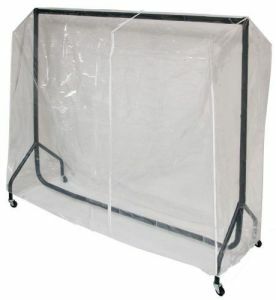 Diameter: 25cm ( 10" ). 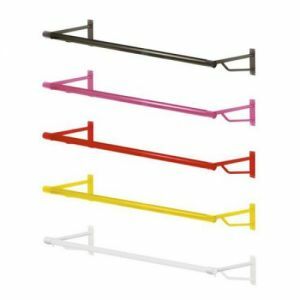 Other size wall mounted hanging rails available. We would strongly suggest using at least one extra wall bracket (Reference:1092) for additional support with a 6' long wall mounted rail.